When UN head Ban Ki-moon visits refugee camps in Algeria on Friday (5 March), he’ll meet a growing number of young people who feel betrayed by Europe and who believe that only violence can regain their homeland. The Sahrawi Arabs, who’ve lived in the desert camps in southern Algeria for 40 years, are a legacy of Africa’s last decolonisation project. When Spain withdrew its forces from Western Sahara in 1975, the Saharawi Arab Democratic Republic (SADR) proclaimed independence. But Morocco annexed the land, prompting a 16-year conflict with the SADR’s armed wing, the Polisario Front. The war ended in a shaky ceasefire in 1991. The SADR is still waiting for the UN to deliver on its promise of a referendum on self-determination. The UN head’s visit comes at a turbulent time for EU interests in the region. EU states need Morocco’s support to return people who don’t qualify for asylum amid the migration crisis. 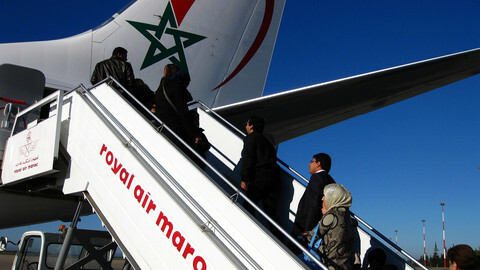 The future of a multi-billion euro EU-Morocco trade treaty is also up in the air. The EU court in Luxembourg recently invalidated the treaty on grounds that Morocco was exploiting disputed territory in Western Sahara, prompting Rabat, on 25 February, to suspended contacts with EU institutions. For the Sahrawi refugees, who, according to aid agency estimates, number some 125,000 people, it looks like the EU is bowing to Morocco in return for its cooperation. Sweden had promised to knot formal ties with the SADR. 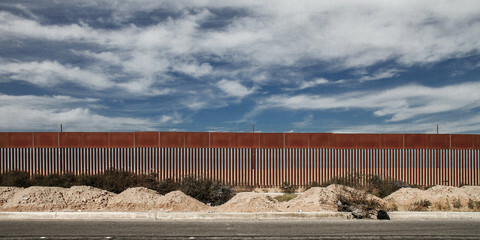 But it backed out in January after Morocco threatened to block readmissions of migrants. 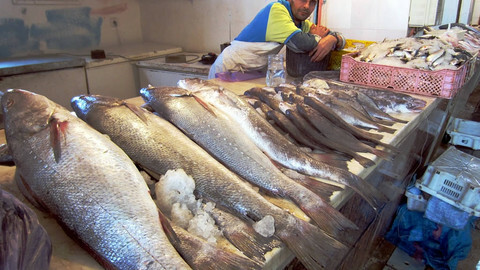 The European Commission has said it would appeal the trade verdict. 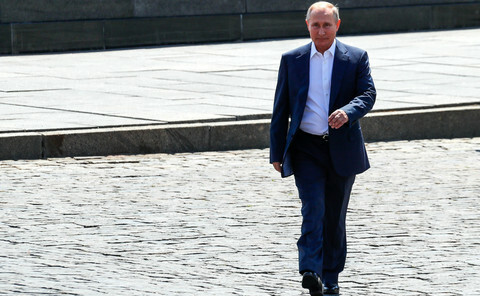 It is also preparing to cut aid to the camps for the first time in a decade. Meanwhile, the refugees don’t believe that Morocco is prepared to make peace. Rabat refused to meet with Ban Ki-moon in protest at his visit to Algeria. It has also blacklisted leading human rights NGOs such as Amnesty International and Human Rights Watch for their work on Sahrawi issues. Sweden would have become the first EU country to recognise the SADR, in a symbolic move. When it backed out, Swedish foreign affairs minister Margot Wallstroem said she would step up efforts at the UN to find a "mutually accepted solution to the conflict that satisfies the right of the Western Saharan people to self-determination." Buzeid spoke to EUobserver on 25 February at the Rabouni refugee camp in Algeria, the Polisario Front’s political-administrative seat. She, like more than half the refugees, was born in one of the camps - settlements made of mud-brick houses in a remote desert close to Algeria’s borders with Mali and Mauritania. Buzeid’s group, Nova, calls for a non-violent solution to the conflict with Morocco. But she said decisions like that of Sweden could help a rival group, the Five March Movement (M5M), to gain popularity. M5M, an underground youth organisation created five years ago, has threatened to launch guerrilla attacks in Morocco in order to put pressure on the international community. The frustration with the status quo is palpable in the camps. "War is the only solution," one Rabouni camp resident told EUobserver. A group of other young people repeated the slogan at a meeting with senior staff from aid agency Oxfam. The Polisario Front maintains a badly-equipped army, whose soldiers wander round the camps in forest-green fatigues. It faces allegations, by Human Rights Watch, of keeping some women in the camps against their will. But after a decade and a half of inertia few people take Ould-Salek seriously. A young refugee, who was present at the briefing, refused to stand up or to shake Ould-Salek’s hand. "The problem is the Polisario. We need something new. We need fresh blood," one 30-year old male refugee told EUobserver. Polisario Front president Mohamed Abdelaziz has held power since 1976. Morocco and Algeria have been a zone of relative stability in north Africa. The jihadist group, Al-Qaeda in the Islamic Maghreb (AQIM), is active in the region. 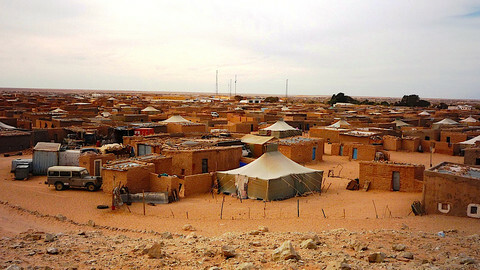 It has tried to recruit people from the Sahrawi camps. In 2011 AQIM fighters from Mali entered the Rabouni camp and abducted three aid workers. The compound that houses international staff is now surrounded by 4.5 metre walls topped with razor wire and the Polisario Front has created a counter-terrorism unit. But the Sahrawi refugees, in any case, eschew militant Islam. They are, on average, better educated than Algerian people. Up to 700 of them a year graduate from high schools and universities abroad, including in Spain, the former colonial power. They are also indoctrinated in a Marxist-nationalist ideology centred on the return to their homeland. Many of the men in their early to late thirties were sent to Cuba as children, some against their will, to study revolutionary ideas. The camps are on a smuggling and migration route to Europe. 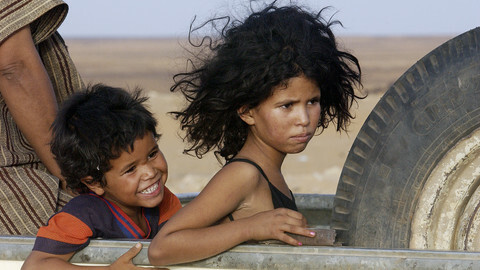 Aid agencies say Syrian people are increasingly flying to Mauritania before crossing the Sahara on their way to the EU. Some camp residents help smuggle cigarettes and petrol. But they say they have no contact with migrants and do not want to live in Europe. The Swedish U-turn came after its left-wing government came under pressure on immigration. About 165,000 people claimed asylum in Sweden last year. An EU diplomat in Brussels told EUobserver that Sweden reneged on its promise to the SADR in return for Morocco’s help on returning failed asylum claimants. Amid the wobbly EU-Morocco trade pact, Sweden’s decision also improved economic ties. Following the move, Swedish furniture giant Ikea is preparing to open its first shop in Morocco near to the city of Casablanca. Belgium, Germany, Spain, France, Italy, the Netherlands, and the UK already have readmission agreements with Morocco. 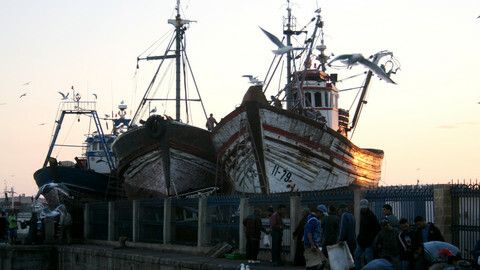 But EU politicians and leaders are flocking to Rabat for talks on better implementation. German interior minister Thomas de Maiziere in Rabat on Monday (29 February) agreed a security deal that includes deporting Moroccan nationals from Germany. Belgian prime minister Charles Michel recently did the same. France, at Morocco’s request, has repeatedly vetoed a human rights mandate for Minurso, the United Nations Mission for the Referendum in Western Sahara. The US, which wants closer counter-terrorism cooperation with Morocco, has stopped talking about the UN referendum. Algeria, the SADR’s main financial sponsor, last year declined to criticise the French veto. The EU commission’s aid cut could further sour the atmosphere. The commission has designated 90,000 people in the camps, who are almost entirely dependent on foreign aid, as being "most vulnerable”. 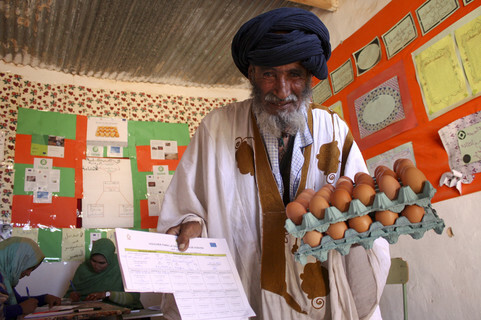 Its humanitarian aid agency, Echo, has in the past contributed €10 million a year for their care. Echo's own literature describes the situation as a "forgotten" conflict. But two EU sources told EUobserver the aid will be cut to €9 million from 2016. The commission declined to confirm or deny the information. The cut is to come amid a decline in remittances from refugees’ relatives in Europe, especially in Spain, which was hit hard by Europe’s economic crisis. The EU cut also comes after a dramatic flood in October. 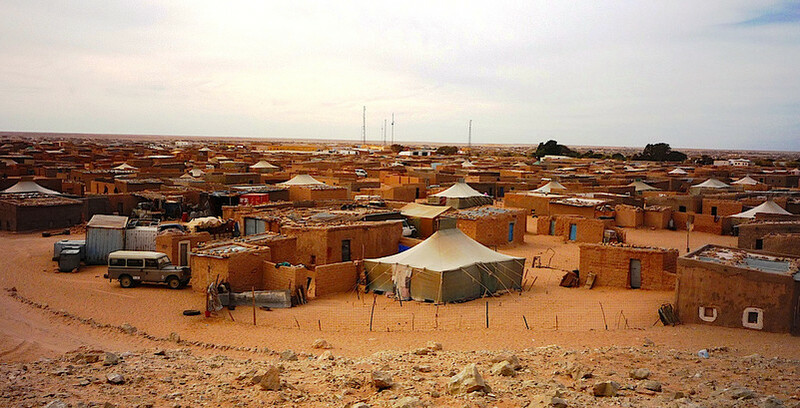 The flood destroyed one Sahrawi camp and caused widespread damage in the others, affecting 52,000 people. "Fortunately, there were no victims. [Though] almost everyone lost their homes," Muhammad Salem, a 65-year old resident told EUobserver at the Dakhla settlement. Salem’s house was among those destroyed. Oxfam is helping people to build new homes. But the price of bricks, which are made from a mix of mud and cement, has shot up due to high demand. The increase means that many of the new homes will have walls which are 20 cm thick instead of the normal 40 cm. The flood water created patches of green plants along the road from Dakhla to Rabouni. It’s the first time in years that anything wild grew in such abundance in the desert. The camps pump their water from deep underground. But it is so salty that the UN has had to spend $2 million a year to make it drinkable. Only one of the five settlments has electricity. The harsh conditions have not extinguished young people’s revolutionary ideals. MPs worried that Morocco's occupation is getting worse even as EU countries strengthen ties with Rabat. Five member states have sided with Rabat and appealed an EU court case clarifying the EU's role in Morocco's illegal annexation of Western Sahara. Sweden's surprise decision not to recognise Western Sahara's statehood may have more to do with Moroccan street children than West African politics.